Bill Green, Houston Moondogs’ Scouting Director, takes an in-depth look at the 2029 draft. I have found this method to be the fairest way to put batters and pitchers on an even playing field when it comes to ratings. Projected relief pitchers (<3 pitches, and/or low stamina) receive a 10% penalty to their score. A low score for work ethic resulted in a 10% penalty to a player’s overall score. OK, that’s all the waffle out of the way – let’s take a look at the draft in detail. First of all, let’s look at my top 20 players overall. Quite a lot to digest here. Whilst 3 of my top 4 players went in the top 6, we also have 10 players who weren’t even drafted in the first round! Travis Bridges, my second-ranked player, is an interesting case to look at. He has a ton of talent, but is clearly very raw and has a long way to go to reach his potential. Overall, 6 players in my top 20 are younger than 18 – I will be keeping a close eye on their development as I look to work on an aging factor to work into my future draft class analysis. Special mention to the Outlaws, who picked up three of my top 20. Next, let’s break down the top talents at each position. This was a bad year for shortstops! Five other positions have the 5th player ranked higher than the best shortstop – who, incidentally, was taken later than the 4 guys below him. On the pitching front, we take a look at the top 10 guys. John Shows is of interest – as a reliever he received a 10% penalty to his score, but he still comes out as the third best pitcher, and the 9th best player overall. Kent Loomis and Aaron Stauffer are the other relievers showing up in the top 10. After analysing all these players, I really wanted to know which teams were the best drafters (by my metrics at least). By calculating an average player score for each team, I have ranked all 29 teams, both by overall draft, and by each team’s picks after the 3rd round. 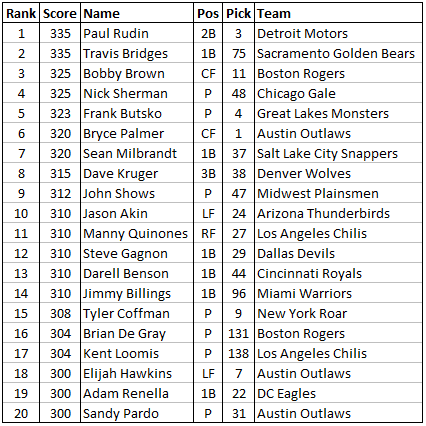 The goal was to find the best overall drafter, and the best late-round scout! Before showing the rankings, please once again bear in mind that all of these scores are my opinion. I toyed with the idea of just showing the top 10 dafters to avoid offending anyone, but in the end I’m sure everyone’s scout loves their draft! 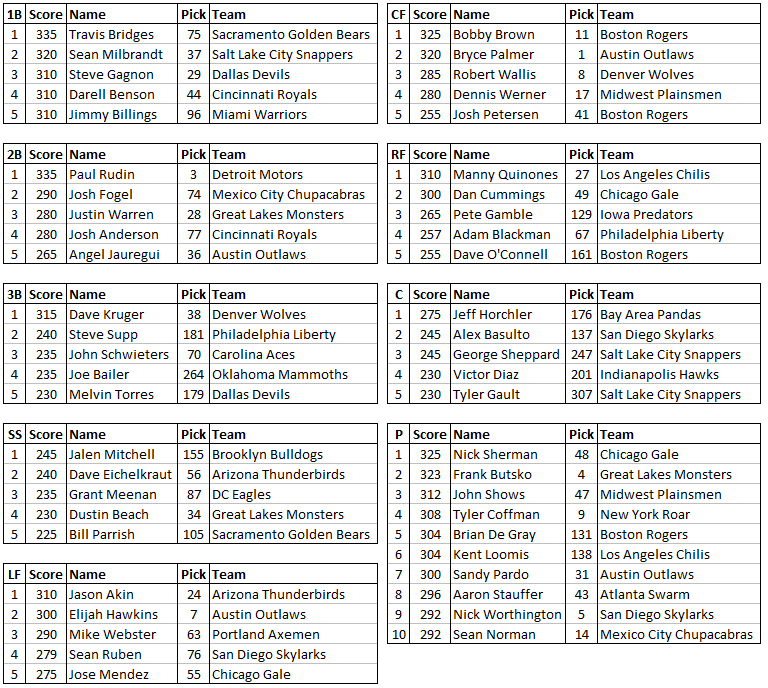 So, here we go with the draft and depth scores for each team. Congratulations to Chicago Gale – my drafters of the year! If anyone has any questions about my methods, please feel free to drop my GM – Ben Rollo – a line! I have also shared the document I used to pull all this data together for anyone who wants to dig further into the detail. Click Here to view it. 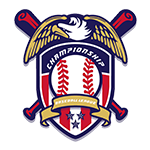 Thanks for reading folks – I look forward to another great season of CBA baseball!